Watermark is connecting the dots between course evaluations and faculty activity reporting with a new integration aimed at extending the life cycle of institutional data. The release comes out of two acquisitions the company made in the last year: Digital Measures, a provider of faculty activity reporting software, and EvaluationKIT, a provider of enterprise course evaluation and survey software for higher education. Now that Watermark has integrated those products into its portfolio, it can offer institutions "a more holistic picture of course and program effectiveness, approaches to teaching and learning, faculty workload, and service across the institution for purposes of continuous quality improvement," according to a news announcement. 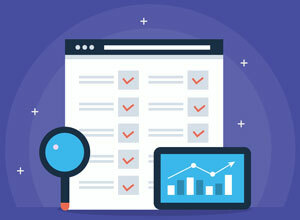 Results of course evaluations and surveys can be viewed directly alongside course data and combined with other faculty activities and accomplishments, giving administrators a "more comprehensive view of faculty activities data for annual reviews, reappointment, promotion and tenure, and post-tenure review processes." "In addition to giving both administrators and faculty a fuller view of their teaching, professional development, and service activities, this integration provides institutions with better insight into course effectiveness so they have the data needed to make informed curricular improvements," noted Kevin Hoffman, president of EvaluationKIT by Watermark, in a statement. "Centralizing and integrating solutions is a pivotal step toward supporting institutions that want to gather course evaluation and faculty activity data more efficiently and streamline processes." Watermark worked with a number of partner institutions to inform the technical integration. For example, the University of Denver is combining the data from two large-scale sets of course evaluations with its faculty activity reporting data, in order to analyze course and program effectiveness and inform the annual review processes for faculty. "We were very excited about the expanded capacity and opportunities presented by Digital Measures and EvaluationKIT," said Linda Kosten, senior associate provost, academic administration, for the University of Denver. "We now have the ability to centralize and integrate our course evaluation, faculty activity reporting, accreditation tracking and data collection processes. Most importantly, Watermark is providing us with better abilities to leverage our data across processes so that we can make informed decisions that will improve both student and institutional outcomes." For more information, visit the Watermark site.